The ETP Customer Support team’s mission is to provide high quality and responsive support to our customers. A professional team of support analysts and engineers are dedicated to providing application support and service to our customers across vast geographical distances and different time zones. With world-class support service to ETP customers, we help protect their software investment and ensure the smooth functioning of their business operations through a web-based support portal and knowledge repository. 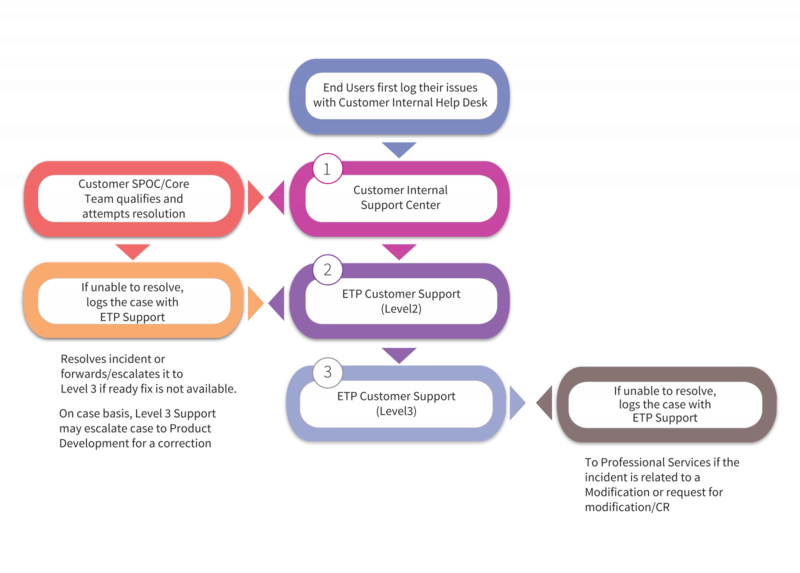 Our support program has been designed to meet our retail customer’s ETP software support needs anywhere in the world. We understand the need for timely help and professional service and are committed in providing high standards of service to our customers.